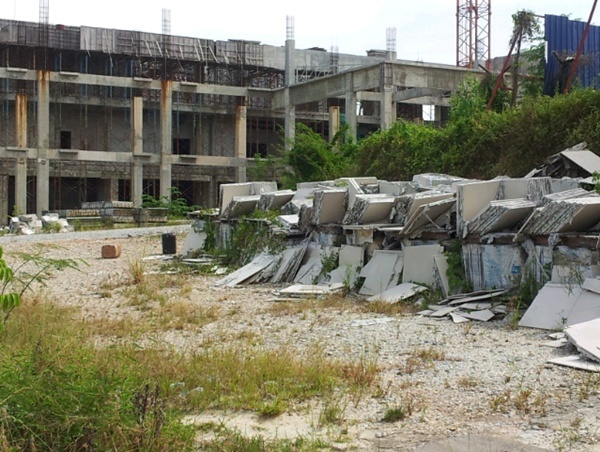 China’s aggressive crackdown on capital flight could lead to a surge in abandoned projects in Penang, Johor and Kuala Lumpur, reported Free Malaysia Today citing veteran economist Hoo Ke Ping. “Chinese nationals who have purchased homes but haven’t finished paying for them may not be able to do so,” said Hoo. This comes as China’s central bank may force those who acquired homes outside of the country to finish paying their loans within China. With this, he believed Country Garden Holdings, the developer of Johor’s Forest City project, will find it difficult to fill in the void left by Chinese buyers. Local buyers, on the other hand, cannot afford the homes, which are designed for the Chinese market, as they cost over a million ringgit. “So now the developers need to slash prices to salvage the situation…But even if they slash prices by 20 percent, it may still be out of reach for many,” explained Hoo, adding that he expects the situation to persist for three years. Reuters reported that Country Garden had revealed plans to expand its sales reach for its Forest City project to Japan, Vietnam, Thailand, India and the Middle East. In slamming reports that it had closed some of its Forest City showrooms in China due to the government’s capital controls, the group shared that it was overhauling its sales centre within mainland China in order “to better fit with current foreign exchange policies and regulations” and as it eyes to diversify its development strategy. “(The) Country Garden group resolutely abides by relevant foreign exchange related rules and actively adapts it overseas development strategy to adapt to a constantly changing national and international policy and legal environment,” it said. China’s third largest developer, Country Garden reportedly sold about 18 billion yuan (RM11.5 billion) worth of apartments last year in Forest City, with Chinese buyers accounting for 70 percent of the total buyers. Country Garden Pacificview Sdn Bhd, the Malaysian unit of Country Gardens, revealed in a separate statement that it was promoting the massive Forest City project to investors from the United States, Europe, Southeast Asia, South Korea, Japan, India and the Middle East, reported New Straits Times.